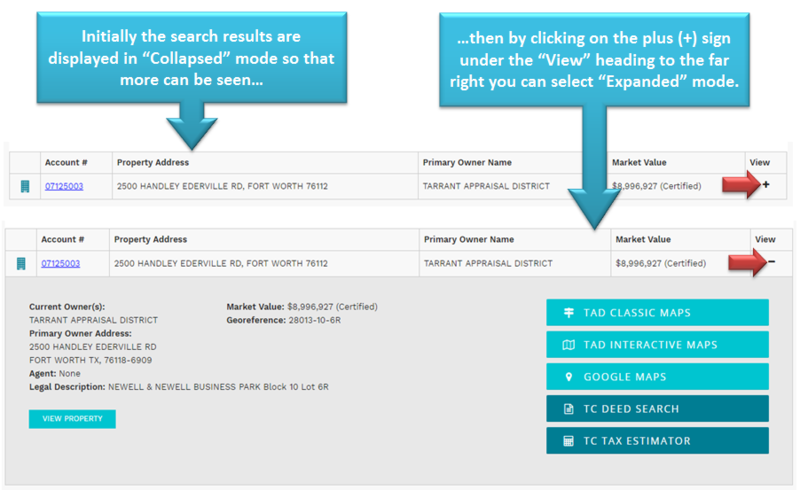 The Current format that allows for the sorting and filtering of results by category (like Account Number, Owner Name, etc.) after results are returned. A Contemporary style that would auto-populate potential search results by common categories, allowing you to select and sort by clicking on a drop-down display. 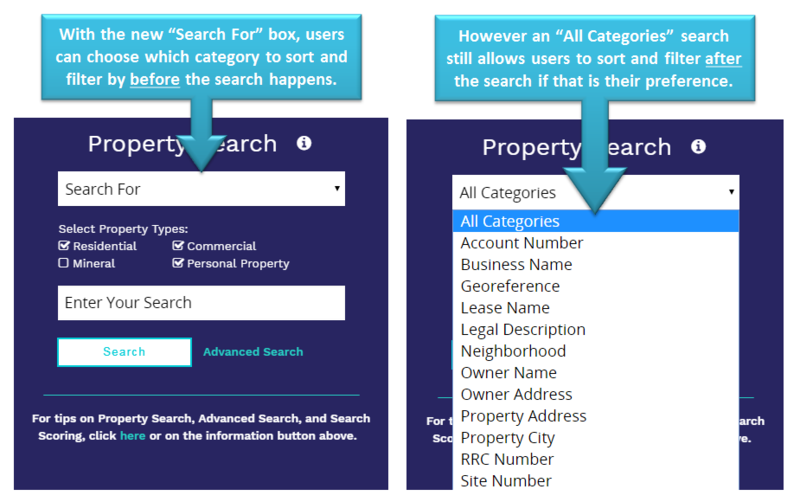 A Classic style interface that would allow you to select, sort, and filter the search category (like Property Address, Owner Name, etc.) before results are returned. The Classic style emerged as the clear winner. 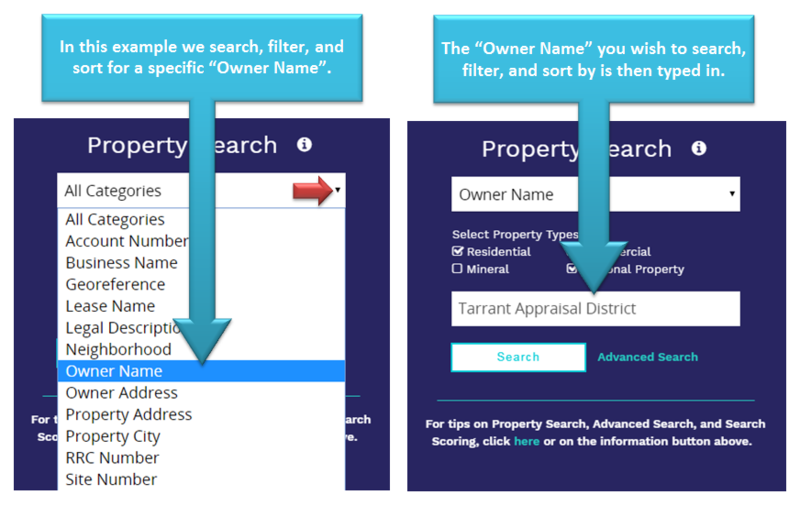 So by popular demand, and before the end of 2018, TAD will roll out the following enhancements to “Property Search” and other features that should prove beneficial to your online experience.